Hi guys, I thought I’d let folks know that I will be presenting a program on the Looms of Southeast Asia at the San Antonio Guild Meeting at 9:30am. The guild starts at 9:30 am with coffee and a short business meeting and I am up after the business meeting. I hope to see some of you there! Very few people teach this subject and I am glad to teach it here in Texas. 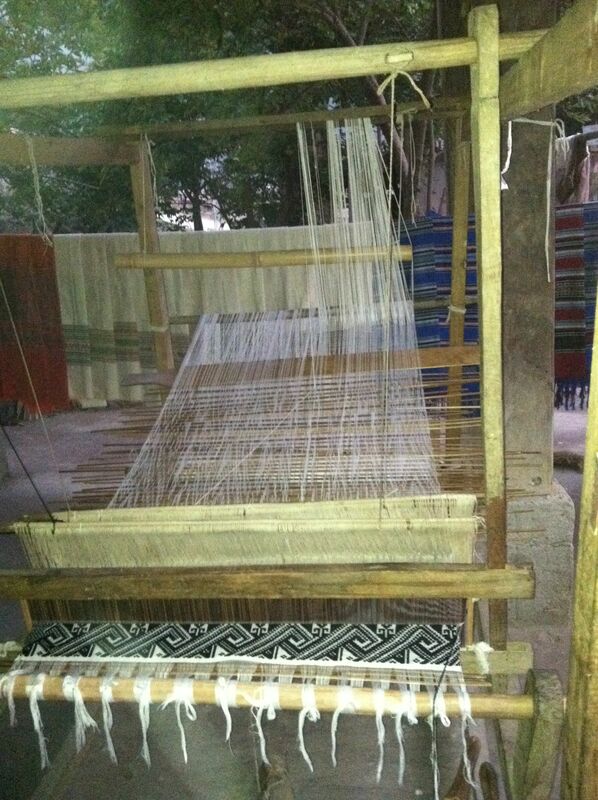 Program: Travel with Deb to Southeast Asia and learn about the simple looms used to create intricate patterns. We’ll compare loom mechanisms and their differences in Vietnam, Laos, Thailand, Cambodia, and Burma. We’ll also look at how reeds are handmade to order. Towards the end of the seminar, those who are interested will learn about making heddles by hand. Deb will have sample textiles and tools for you to touch and look at. Directions: The guild meets at Colonial Hills United Methodist Church in a room over their Child Development Center. URL for a Mapquest map is below. Basically, get to the northwest segment of Loop 410, exit Vance Jackson, go north a short way past a largish intersection at Callaghan, and the campus will be on your left, and what you see from the street will probably look deserted. At the far left of the campus there is a drive going past a couple of yellow and green recycling bins to the back side of the buildings. You will find plenty of life back there. We will have a hostess at the door.